Like pandas? I do. I’m not sure why; they are living proof that man is trying to thwart evolution. Pandas clearly are too lazy/stupid/unevolved to be able to survive on their own. So, we help them. And, I like that. This panda is standing on his head. Usually, they just sit around and do nothing, so I was pretty excited to see this one put on a show. 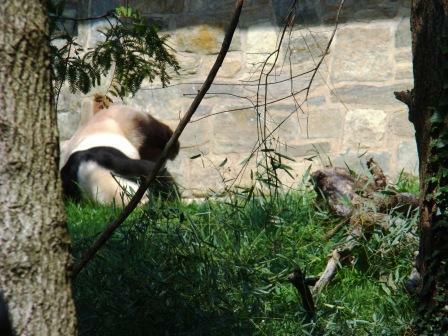 Tian Tian is walking around, happy as hell. He has a pretty good gig. 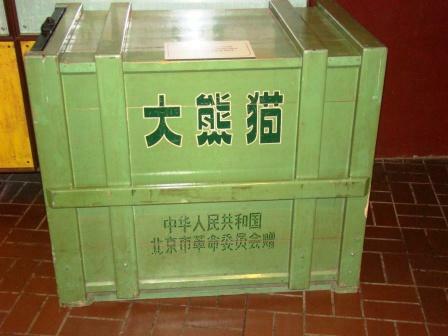 This is the box in which panda bear Ling Ling came to the United States. 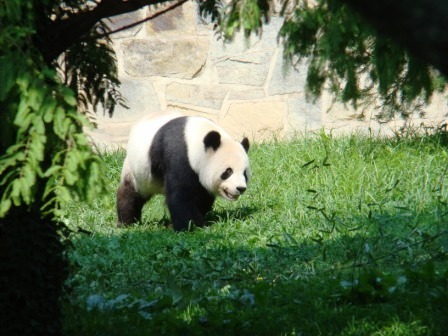 This entry was posted in Travel and tagged District of Columbia, getaway, panda, tourism, Travel, Vacation, Washington, zoo on October 3, 2008 by Tom.